We've only corresponded directly a couple of times, but I have spent a long time on your website. 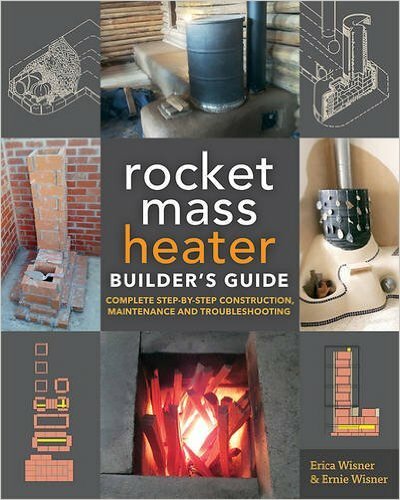 I found some of your info on building codes and chimneys particularly useful, read some of your cautions about outside air intakes, and also your critique of Vrest Orton's book and Rumford's original design papers. Once I've been back to a site often enough to memorize the URL, and I keep finding useful info there, I tend to list those sites as references for others. It's in in a number of our handouts and booklets, including "Art of Fire" booklet, and this one. We like to show people a quickie Rumford fireplace at our bonfire demos, partly because it's such a good demo of radiant heat (make a box fireplace, then open out the sides, while they're sitting there shivering), and partly because a Rumford is a great solid-state technology for some of the situations where a big masonry heater would not be so good (like a ski cabin or occasionally-used parlor). I can't guarantee the review copy - but I'm putting you on the list I hand off to the publisher, with a note about your prominence in the field.